Welcome to Port Haven! The name of this home speaks for itself...truly a welcoming haven located just minutes from the Port of Port Angeles on the beautiful Olympic Peninsula. Offering striking features throughout, this retreat is full of wonderful amenities to give you all the comforts of home & more! Perfect for up to 6 guests, you will love the open concept connecting the modern kitchen to the dining & living spaces. The cooks in the family will be very pleased with all new stainless appliances, striking marble countertops, large island with eating bar which is equipped with all the essentials you need to prepare your favorite meals. There is plenty of space to enjoy cooking & entertaining alike. Pub style dining table seats 4, with additional room for up to 4 more at the eating bar. Impress your friends & show off your skills in this inviting space! The living room offers a very cozy setting with comfortable furnishings & fireplace just perfect for relaxing with a glass of wine, or curling up to watch your favorite movie. This home has 3 queen size sleep number beds to ensure your desired comfort level. Large guest bath is tastefully designed with beautiful tiled shower/tub combination, as well as the master bath with a walk-in shower. There are 2 great outdoor spaces to enjoy including a private deck off the master suite & a very nice extension of entertaining space off the dining room complete with seating & gas grill. Additional amenities include laundry facilities, free cable & internet, plus garage parking for 1. 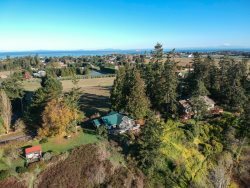 This home offers the ideal location with easy access to downtown Port Angeles & the portal to all of the great attractions that our area & the Olympic National Park has to offer. What are you waiting for? Book your next adventure at Port Haven today! (5 Min. to Fairchild International Airport, 10 Min. to Victoria Ferry Terminal, 35 Min. to Sequim, 45 Min. to Hurricane Ridge, 29 Min. to Lake Crescent Lodge & approximately 1 Hr. to the Sol Duc Falls, Hot Springs & Trailhead.) Please note pricing is based on 4 guests. Sorry, no pets allowed in this home. Ask about our Senior & Military Discounts! - 3 Queen Size Sleep Number Beds - Super Comfy!!! This is a great house to stay in Port Angeles. The whole house has been recently renovated with nice amenities - heated floors in the bathrooms! Definitely would recommend to a group staying in Port Angeles.